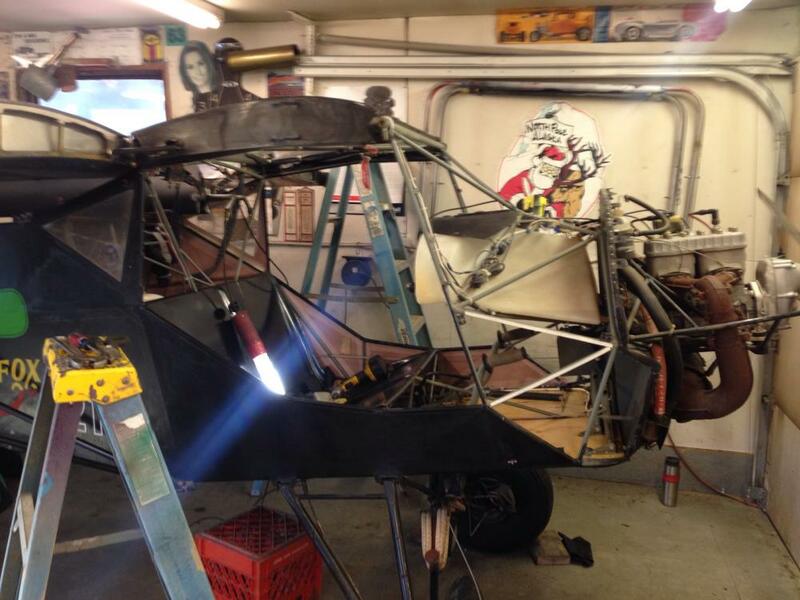 If that Kitfox 1 has the original engine, then it is a 532 with single ignition. More HP would sure help on floats, but AKflyer does OK with similar. 2-stroke knowledge is vital. I have owned a Kitfox 1, 2 & 3 - each one damaged by engine failure. Buckchop, where are you located? I have a good bit of time in a mod 1 and they are great planes for what they were intended to do. They do have a lower gross weight so don't think your going to fly a full moose out with one But you can do it in a few trips! PM me your number and we can chat. 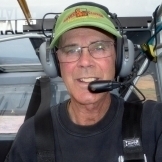 Hello everyone im in palmer for the fair and would like to meet someone that has a older kitfox, id like to ask a few question, listen to info u have on them, and would even pay someone to give me a ride in an older kitfox this weekend while im here. 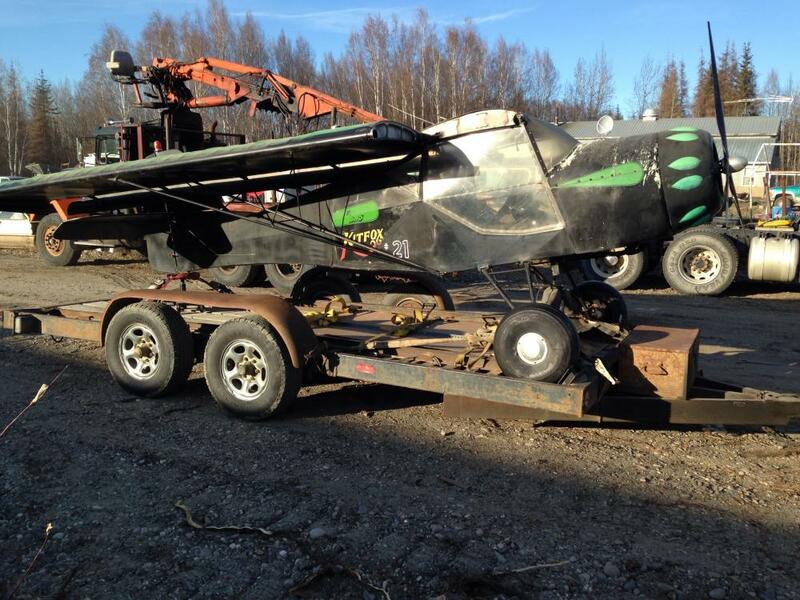 Im really chompin at the bit to buy this kitfox in fairbanks, just need to sell a harley or a muscle car first. Wife say if i want a new toy and old toy has to find a new home. Hahahhaaaaaa well hope to here from someone. And if not,,, have an awesome LABOR DAY WEEKEND!!!! Well ok all my new friends there isnt any turning back for me know. Some my 1963 chevyII yesturday to a good guy here in fairbanks was damm hard to do when they all r part of ur family, hahahaaaa. 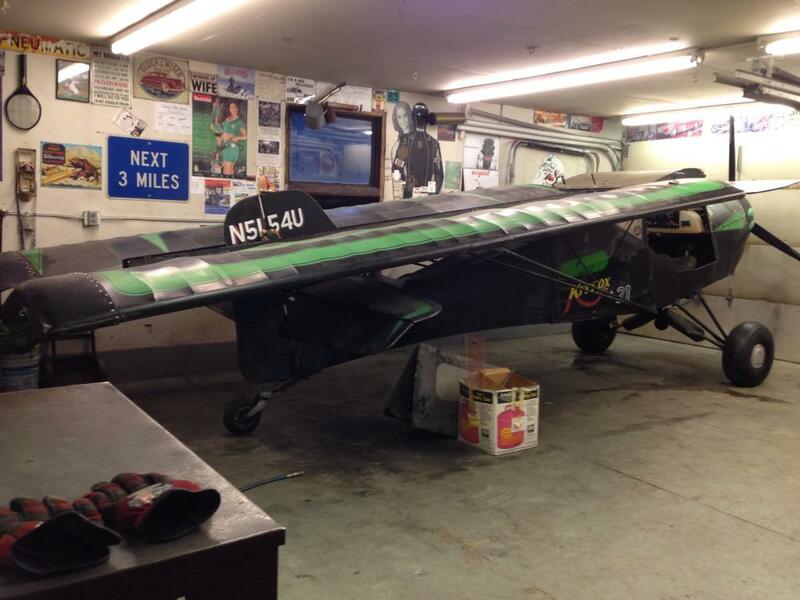 But now im chompin at the bit to go get that Kitfox 1, i sure hope its still there, for sale, ill b bumded if not. Called th owner and no answer hope he hasnt went south for winter will keep u posted. No problem, that's what we are here for. hopefully I can get up there in a couple weeks, but things are pretty fluid for me right now. Jim, I saw the pics! Well here is a few pic Jim if i can get them to work. Not a good computer guy. Hahahhaaaa Have done all new fuel lines, pulse line, coolant lines, scrubbed clean the whole plane inside and out by hand, and today i hope to get started cuttin out and installin new windows. Hope to have her outside wings unfolded and mayb a startup this weekend. "Wife still says im crazy"
Ahhh yes that may work buddy!!!! Lol well this little baby does have electric start which is nice. Well she has two wing tanks one in each wing, and the cowl tank, but not sure how many gallons they all r. Does have cub stlye gear, wheels, tires, brakes, and i even got a sweet set of fiberglass skis with white UHMV on the bottoms. From the pics it looks like aluminum tanks and only one bay so I am guessing the wing tanks are 6 gallons each and the main nose tank. Still enough to keep you in the air for around 4 hours of a tad more depending on how hard you run it. Those skis are different from what I thought they would be. Looks heavy duty for sure! 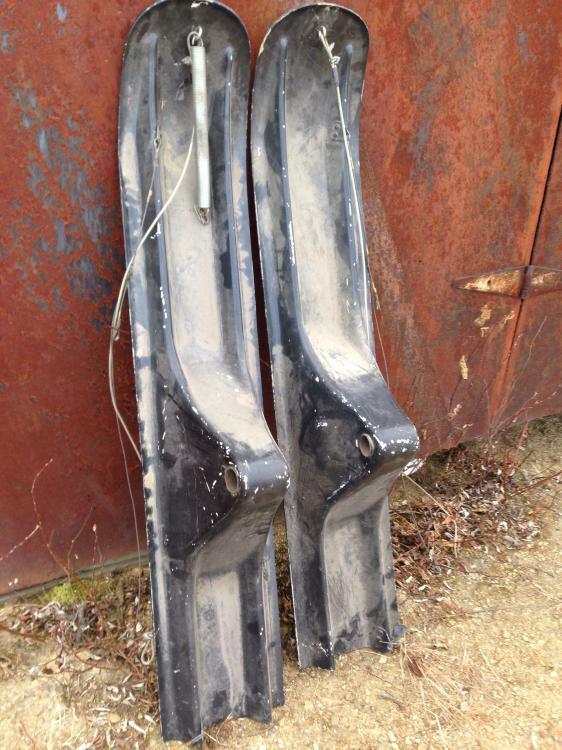 Anyone recognize those ski's? Nice looking design. Are they heavy? 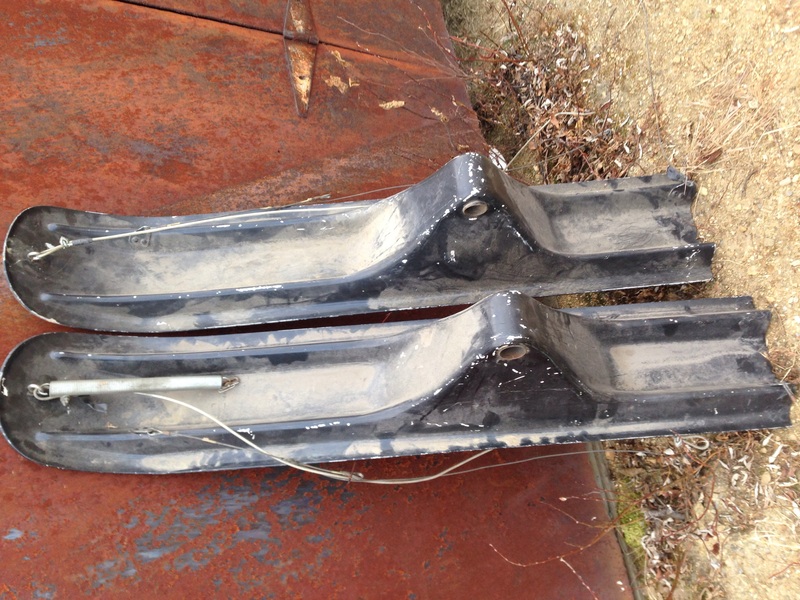 The Skis look like the ones the old Skystar factory offered in the early days. They are fiber glass over steel frames. I have the installation and rigging instructions if you need them. Actually no they r pretty light fiberglass construction. And i would love the plans/mounting info!!! Thanks TCJ. I coukd have them in a box of paperwork that came with the plane, been to busy fixing her up and havent looked thro it yet.